It was the 17th of July, 2009. 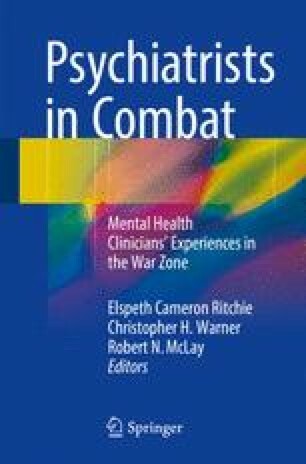 I graduated from residency a month prior, and was due to take my first week of call as a Staff Psychiatrist at the Naval Medical Center San Diego (NMCSD) the very next week. I stood on a stage with many of my colleagues from our large Mental Health Directorate awaiting the honor of having my shoulder boards replaced, reflecting my promotion to Lieutenant Commander. My wife, Nicole, and dear friend Reese stood in the shadows ready to participate in the ceremony. It was a great moment of joy to stand there and be acknowledged for progressing with my military career. But, as this moment moved along and my shoulder boards were replaced, my Director, after making a few kind remarks, declared that I would be going to Kandahar, Afghanistan, in less than 1 month.